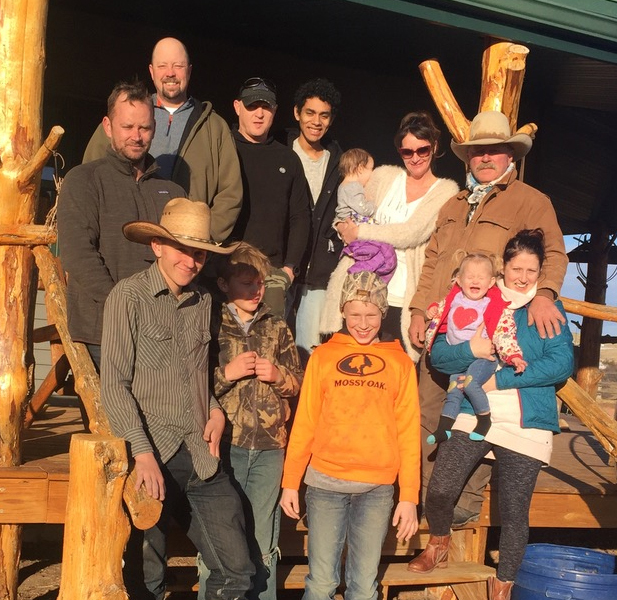 The Kim Shade family has ranched in Idaho and the Dakotas for the past 45 years. Since 1993 has run their Angus and Longhorn herds in the shortgrass prairie badlands of the North Dakota stronghold of the Western Meadowlark, North Dakota’s state bird. 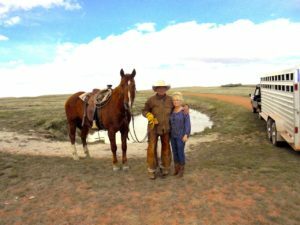 While Kim Shade embraces new technologies he also believes in doing things the traditional way where it’s most important – riding, packing and driving cattle on horseback. He knows well the art of the ferrier (horseshoeing) and he once farmed 60 acres in South Dakota with a 6-horse mold-board plow just so that he could know how our forefathers coped with the frontier. “I’ve seen both sides of how to do things and I think people are way too quick to throw out old ways,” says Kim. For these reasons, and also to prevent erosion, no ATVs or off-road vehicles are used for working the cattle on our ranch. All drives, round-ups and routine off-road back country surveys are done on horseback. The Shade family takes this a step further by using a traditional 19th century chuck wagon during annual branding and round-ups. It’s a light-hearted but seriously authentic tip of the hat to a uniquely American tradition that brings neighbors together in times of hard but rewarding work. For this work, and for winter sled rides, the family keeps a team of Percheron draft horses that, like their working quarter horses, they allow to range freely near the ranch where they have access to the shaded creek waters. And all cooking for family and guests is done on seasoned cast iron, with grilling done only with real hardwood charcoal, never the briquets that can alter the flavor of the meat. Running your own ranch is a demanding life of being up at dawn and often going to bed with the birds, tired to the bone. It’s rarely a high romance of thundering hooves, singing guitars and lowing cattle. More usually, it’s dry tanks, lost animals, twisted knees and busted equipment. The phrase “making ends meet” takes on new dimensions when your family has both two and four legs and thrift is a necessity. And part of that thrift is stretching the life of your machinery. 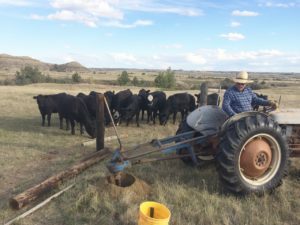 Kim still rides the 1950 Oliver tractor he first learned to drive on, and a fully restored 1953 Ford Jubilee drills corner postholes and runs general chores about the ranch. Perry and I have been acquainted and dear friends for quite some time. He is a gifted biologist, scientist and a very keen observer of the natural world. He is also a great wordsmith. From his observations on our ranch, he has written almost everything on our website. Perry believes in lifestyle preservation of ranch families and a fair return for their labor and investment. He also believes that American consumers deserve to be able to buy the best from those who care to produce the best. I have always believed that producing food for our people is an honorable pursuit in life. 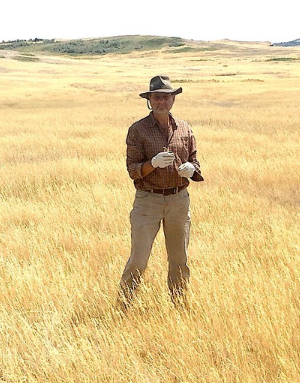 I have made it my life’s work, always keeping an eye on the ecosystem of my ranch. Perry has encouraged me to market my grass-fed, free-grazed, all natural beef. The kind of beef that I and my family have always eaten and enjoyed and the kind I hope that you will enjoy too. It just feels right to be doing this. Many thanks, Perry.